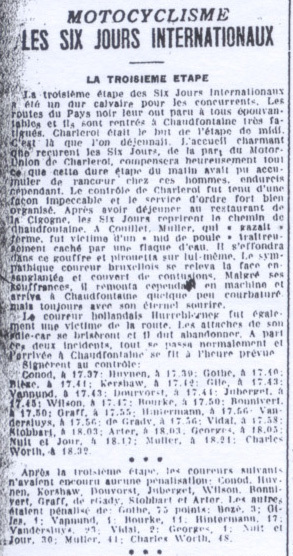 The ISDT of 1924 started at Chaudfontaine in Belgium, covered much of the country and passed into Luxembourg and Holland. 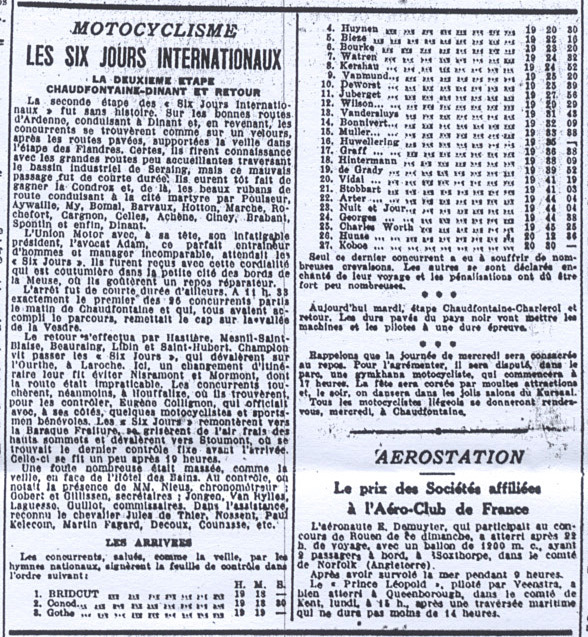 Ace ISDT sleuth “STB” who deserves a gold medal for the stuff he keeps digging up on the Ancient ISDT’s has done some blindingly good digging to pick up some articles from the Belgian Sports Paper ‘La Meuse’ with reports not only on the Liege Baston Liege famous cycle race but thankfully the ISDT. 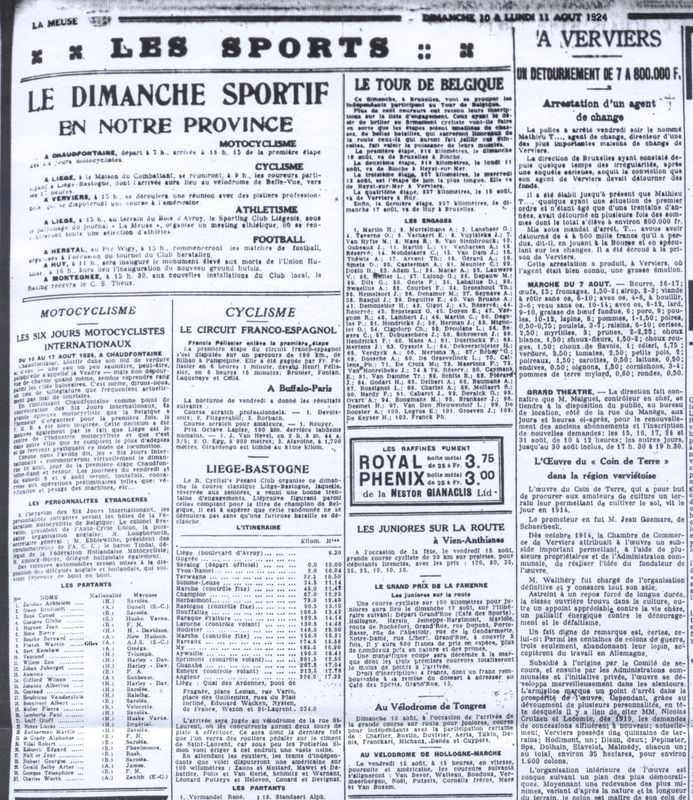 Although the articles are in French I am struggling to get them translated so if any francophiles here can help break this archive open contact me for copies of the material. 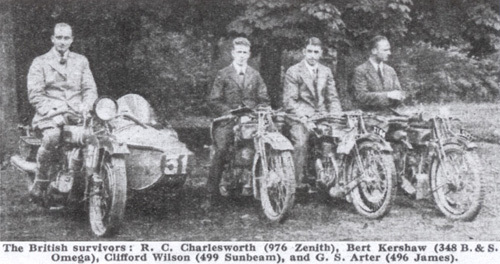 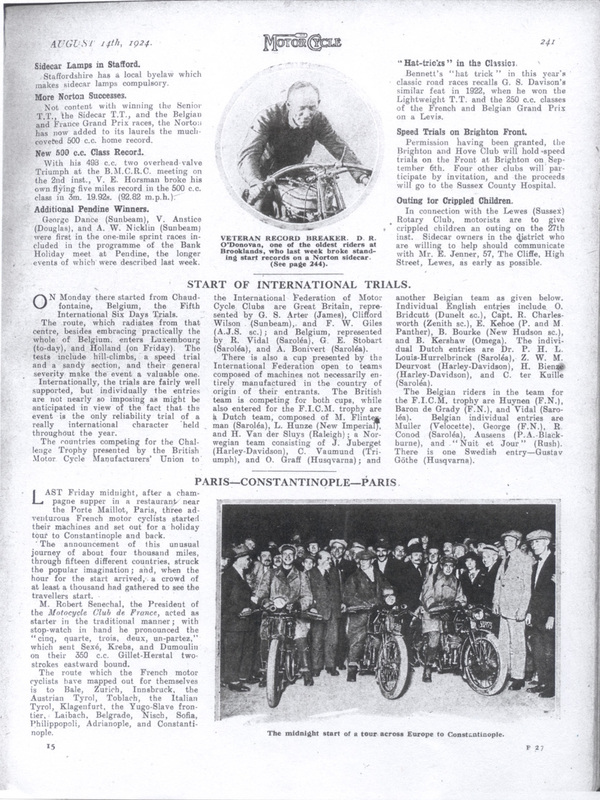 Three Issues of ‘the Motor Cycle‘ presented reports on the event, the image posted below is a pre event pre-review of the 14th Aug 1924. 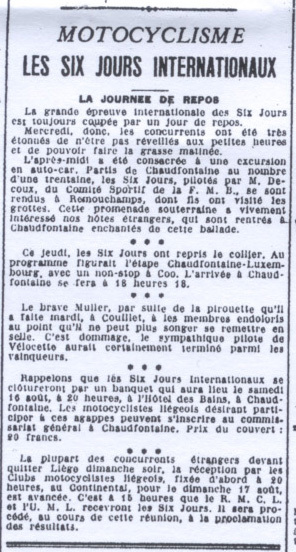 Image of Extract of article from above front page… any help translating this would be welcome.